Play games by grade level and math subjects. Game on learning. High school math class brings to mind textbooks and hours of math drills. 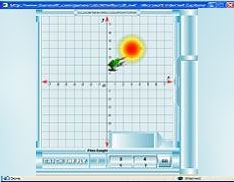 Math games offer an alternative form of study for high school students. Students practice math skills in a low-pressure, enjoyable format. If you have similar games to share, add them in the "comments" section on the bottom of this page. Play games and improve your grammar. Pick your favorite unit from history and play a game based on that category. Learn about the different women in history and how they made history!